What are they and do I need one? 1. What is a pacemaker? A pacemaker is an implantable device which is positioned typically underneath your left collarbone. It consists of a battery with a computer circuit connected to one or more pacing electrodes (electrical wires) which attach to your heart. The battery of the pacemaker is able to generate an electrical impulse which is transmitted to your heart, which leads to a heart contraction, leading to a pulse or heartbeat. 2. Why do I need a pacemaker? What are symptoms that suggest that I may need a pacemaker? Pacemakers are typically implanted in patients with low heart rates. The typical normal heart rate at rest is between 60 and 100 beats per minute. Certain heart conditions such as heart attacks, heart failure, cardiomyopathy, thyroid abnormalities (hypothyroidism) premature conduction tissue disease, use of drugs that slow heart rates (such as beta blockers or calcium blockers) or simply an “aging” heart may lead to progressive slowing of the heartbeat. 3. Can I reverse a slow heartbeat and avoid a pacemaker? If you are not on any of these drugs, and have a low heart beat which causes you to feel symptoms as described above, please seek medical advice. If you experience symptoms of a low heart rate, your doctor will perform a physical assessment and listen to your heart with a stethoscope. He will also check for signs and symptoms of medical conditions that might be the cause of your symptoms, such as an enlarged thyroid gland. Electrocardiogram (ECG). It is a noninvasive test wherein a technician places ECG leads on your trunk so it could record the electrical impulses of your heart. An ECG helps detect irregularities in the heart’s structure and rhythm that causes palpitations. This test may be performed either one is at rest or during exercise (Stress Test). Holter monitoring. 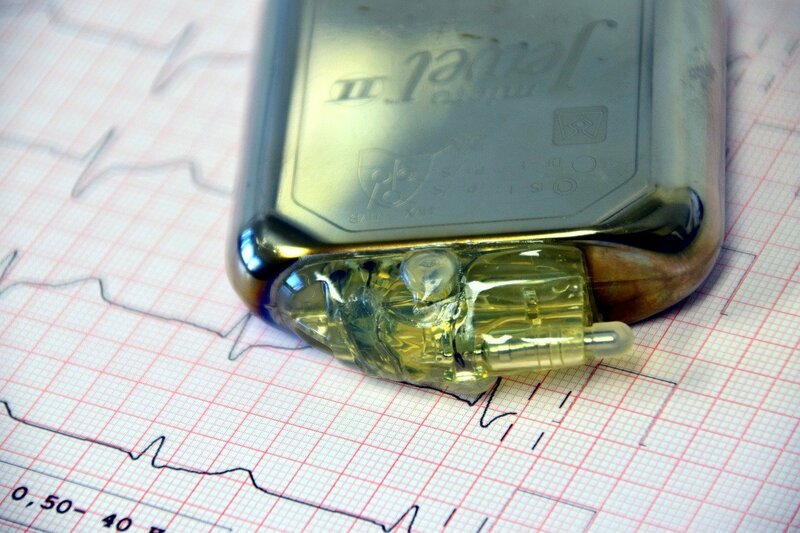 Also called an ambulatory ECG, this battery-powered portable device works as ECG albeit using electrodes with fewer leads. It records a continuous ECG, measuring the heart’s rhythm and rate typically between 24 to 72 hours, while the patient keeps a journal of palpitations felt. Holter monitoring may be advised if your doctor wants to detect palpitations that doesn’t show on a routine ECG test. Event recording. This device is also called a cardiac event recorder and it’s similar to a Holter monitor in purpose. However, this device only records short periods of one’s heartbeat. You need to wear the event recorder throughout the day and push a button to record when you experience irregular heart rhythms. If you don’t experience such while you wear a Holter monitor, or if the cardiac events occur less than once in a week, your doctor might advise you to wear an event recorder for several weeks. Echocardiogram. Also known as a diagnostic cardiac ultrasound. This is also a noninvasive test which uses ultrasound waves via a transducer that is passed all over your chest to show a detailed image of the heart’s structure and function. The images are then transmitted on a video monitor so your doctor can view your heart’s valves, chambers, and blood vessels (arteries, aorta & veins). Thru the echocardiogram, your doctor can also check if you have abnormal holes and blood clots (inside the heart chambers), or problems with your pericardium (outer lining of your heart). A pacemaker is usually implanted in a cardiac catheter laboratory (cathlabs) under sterile conditions. You will be instructed to be fasted from 6 hours prior to the procedure, and will be asked to lie down on a table. Your doctor will then perform a small incision (4cms) to dissect down to identify vessels through which the pacemaker leads are inserted into the heart. Once the leads are inserted, and secured (tied) down onto the underlying muscle and tissue with suture material, the leads are connected to the generator (battery and circuit) which is then buried underneath your skin. The covers are then removed and you will then be transported back to your bed / room and after a period of observation (typically 6 hours or overnight) you will be discharged. 6. Aftercare of a pacemaker: What do I do after a pacemaker implant? When can I drive? Monitor for pain – increasing after 2 days and oozing. Significant worsening pain, and warmth/fever and oozing discharge is not considered normal and you should seek medical attention. You will be able to drive 1 week following implant provided you feel well without any dizziness or loss of consciousness following implantation. You will be given a follow up appointment, typically in the pacemaker clinic following implant within 4 to 6 weeks – please keep this appointment. In you have been told you have a slow heart beat and may need a pacemaker, please consider getting a referral to a cardiologist who is skilled and experienced in pacemaker implants. Dr Boon Lim is a consultant Cardiac Electrophysiologist who offers comprehensive assessment and treatment for pacemaker implantation. He is a regular lecturer and trainer in pacing and electrophysiology, and lectures in courses on best clinical practices within London and internationally. Book an appointment with Dr Lim today. Where did you hear about Dr. Lim? By submitting this form, you agree that we can store your data for purposes to contact you with a direct response to your question. We may telephone you or email to arrange an appointment. Your personal information will not be shared with third parties. We will not contact you with unsolicited offers. Please click on this check box to proceed.